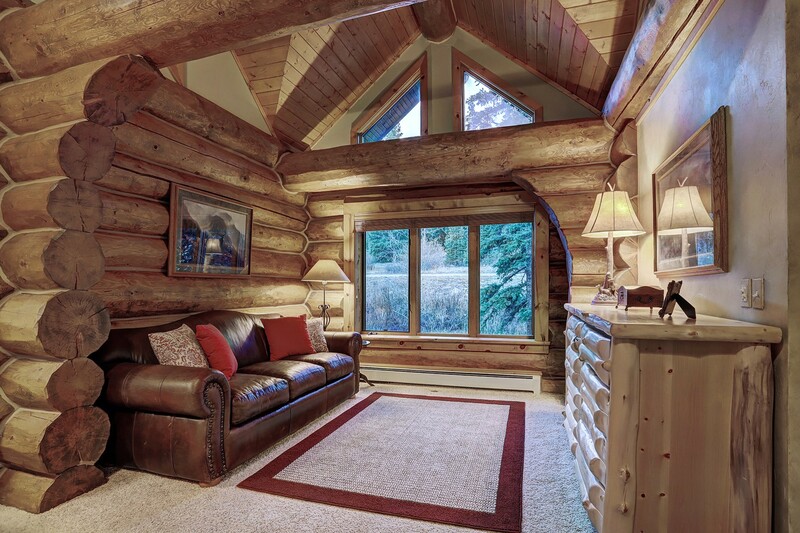 A truly spectacular Colorado log home with easy access to skiing and Main Street Breckenridge. 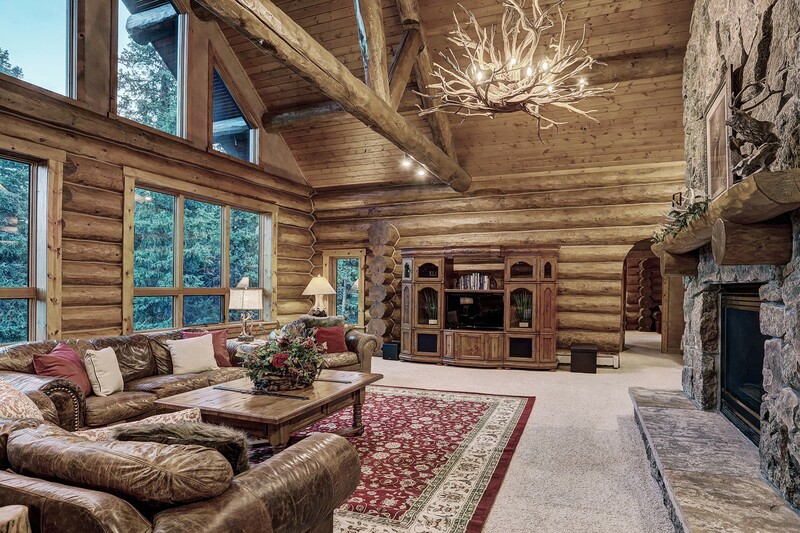 Pine Forest Lodge features log construction, fantastic views and is situated in a very private, forested setting. The man level of this home offers a huge great room with a floor-to-ceiling stone gas fireplace, a beautiful, open kitchen and a dining room with ample seating. 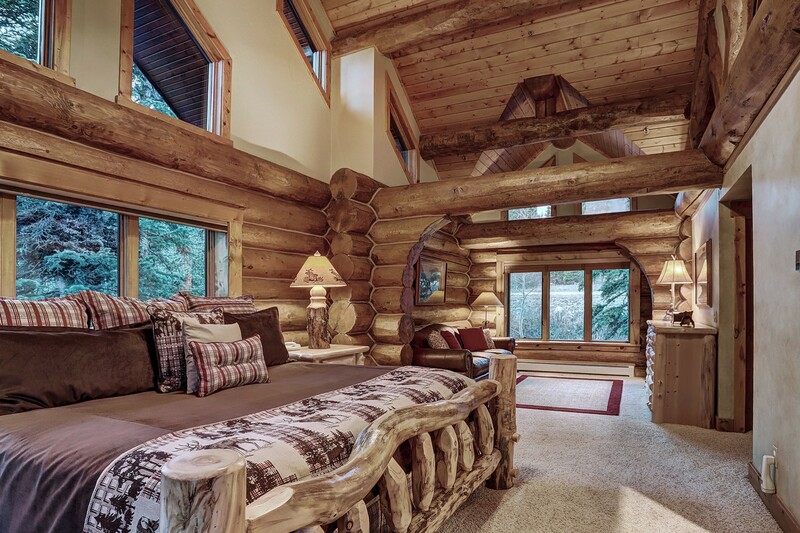 In addition, the main master bedroom can be found on this level. 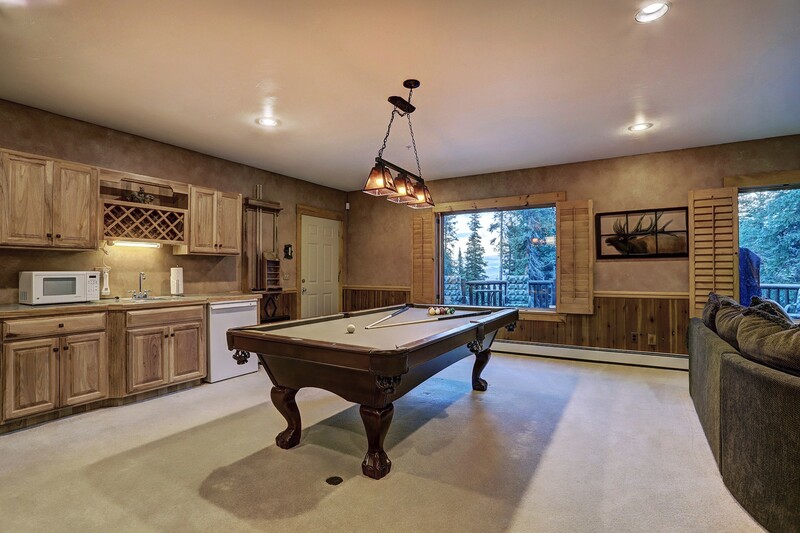 Down one level is the perfect space for hanging out with a movie theater, a comfortable seating and gathering space, a pool table, a wet bar, and another fireplace. 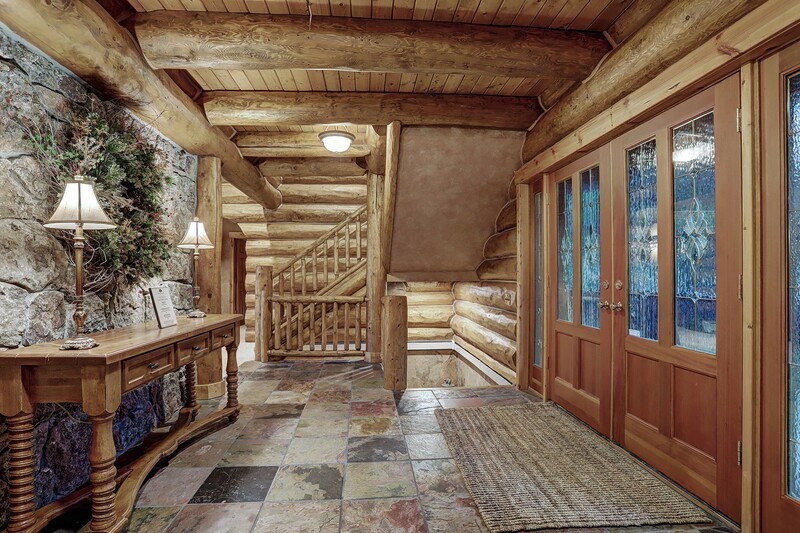 From this level is access to the large deck and hot tub. 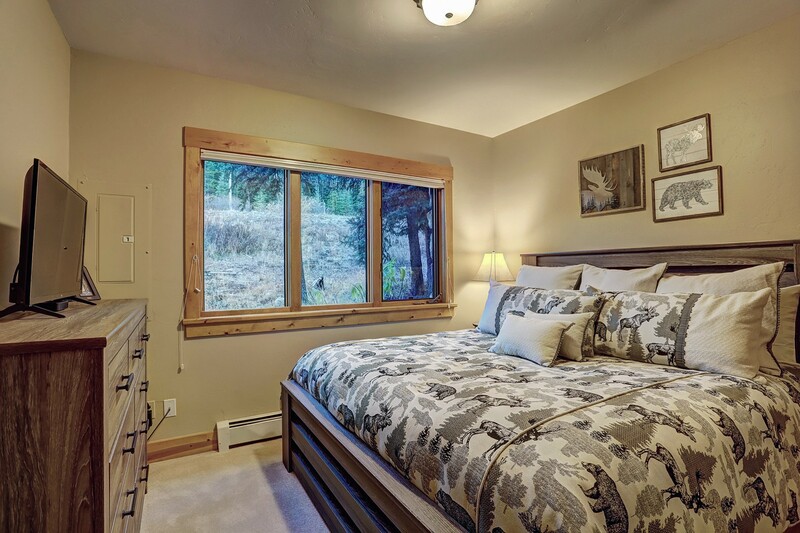 In addition, there are 4 bedrooms on this level along with 3 bathrooms. 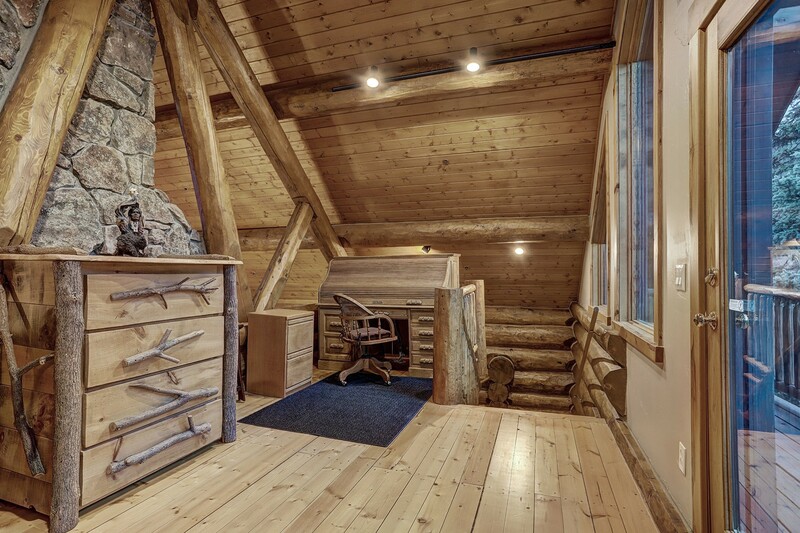 Up to the top level is a private loft space which offers a twin bed with a twin trundle as well as a convenient desk/workspace for when you need to check in. 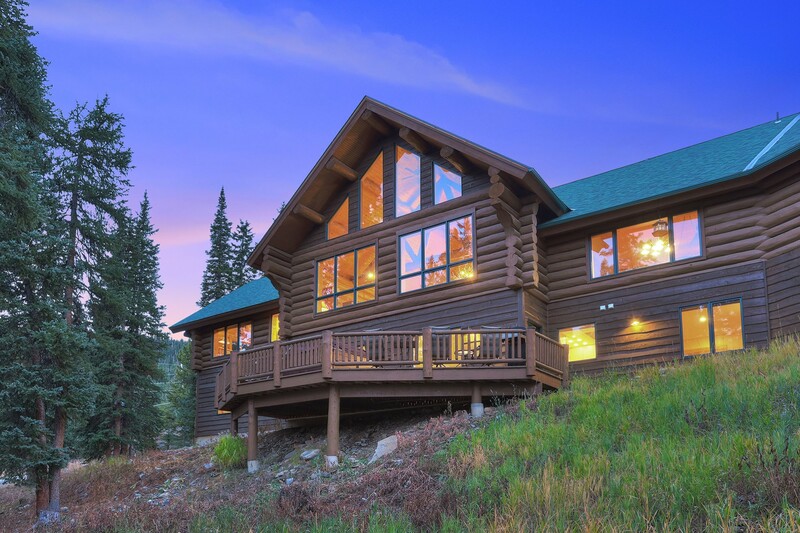 This gorgeous mountain home truly has it all; space for the whole family, tons of activities, and that Colorado setting that you are looking for. 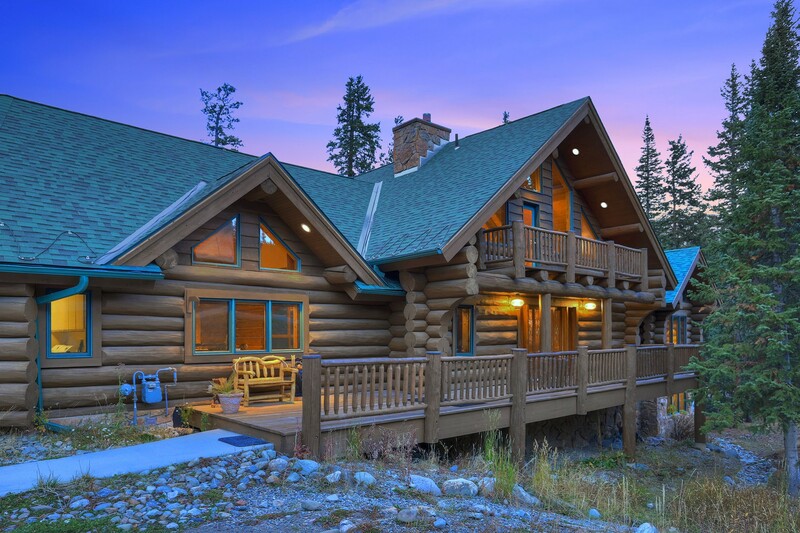 Don't miss out on the Pine Forest Lodge! On arrival we noticed what a beautiful location this was and what a spectacular view we were going to enjoy everyday. The very spacious kitchen and living space made for a wonderful entertainment area. 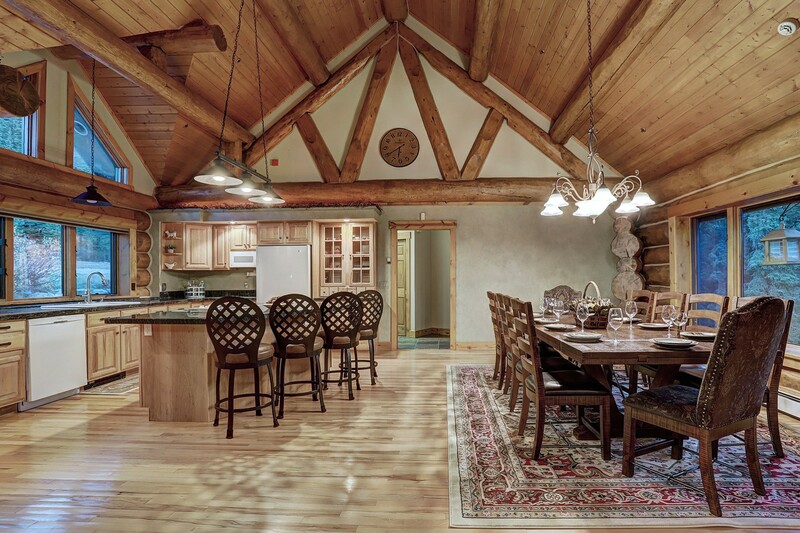 A wonderful place to stay with family and friends! Arrived on 2018-12-17 | Melanie E.
Walking into the home gave an immediate feeling of coziness, yet grand elegance. All the unique logs of the ceiling and walls were quite impressive. We especially liked with the open and large great room, kitchen and dining area. It accommodated our large group well. The downstairs was perfect for our teens and kids to play pool, lounge and watch movies in the theatre, which was such a novel and fun room in itself. The house was stocked with plenty of towels, tp, trash bags, loads of videos, books, and games galore. And may I add, one very important detail- it was CLEAN and well-maintained! The sheets and bedding aren't the thin, low quality you see at most rentals. 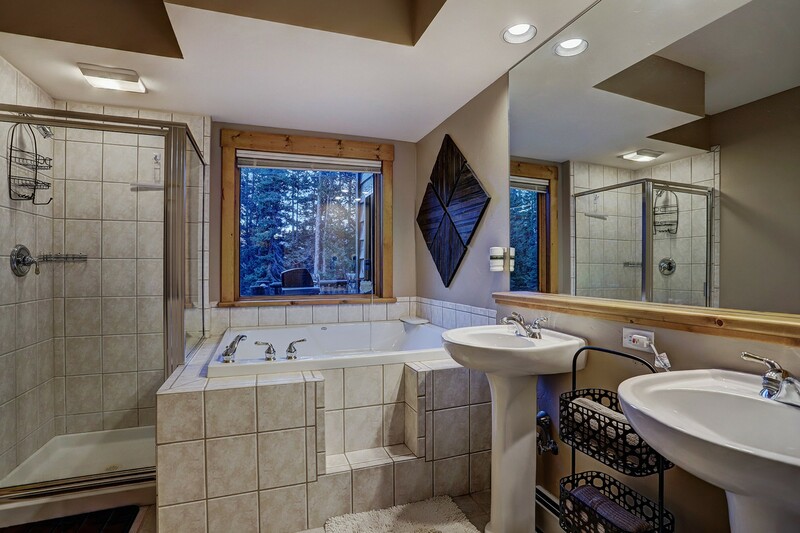 The hot tub is a wonderful size for multiple people and the deck views are beautiful, yet private. The wifi worked well also, which is oftentimes rare for some mountain homes. Visitors should try to eat at The Lost Cajun- authentic cajun food. There's one in Breck and in Frisco. If you're looking for a bit of upscale eating, we enjoy Hearthstone in Breck. I always get the Blackberry Elk. Yum! Daylight Donuts can't be beat either (on Main St in Breck). Just a quick note on travel directions, be on the lookout for the "turn" onto the street the house is on. It's a unique, very slight "turn" and if there's much snow the turnoff is camouflaged. We always looked for the back of the stop sign as a way to know where to go. I missed it a couple of times...but then again, we are from South Florida. The snow tricks us!I recommend staying at this property. 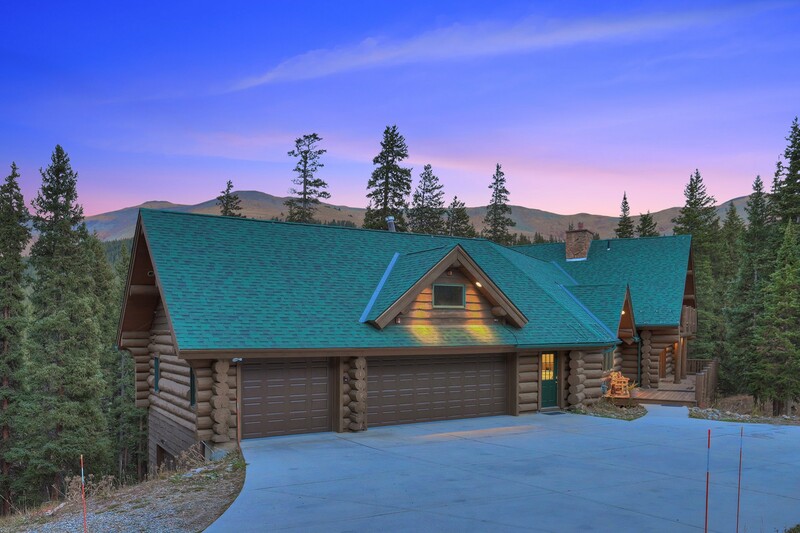 We've come to Breckenridge for decades but this is the 1st time to stay at this property. We were very happy with our experience and plan to come back! Totally Fantastic place to stay! Arrived on 2018-12-17 | Billy H.
Clean, open, warm, inviting, beautiful surroundings. So many extras. The perfect place to accommodate our big family together moments but also provide cozy places for individual private times. Some enjoyed the theatre or the pool table, but we all enjoyed the big open kitchen space and long, long dining table where we all congregated often for the most special times!! THIS PROPERTY WAS PERFECT for our big family!! 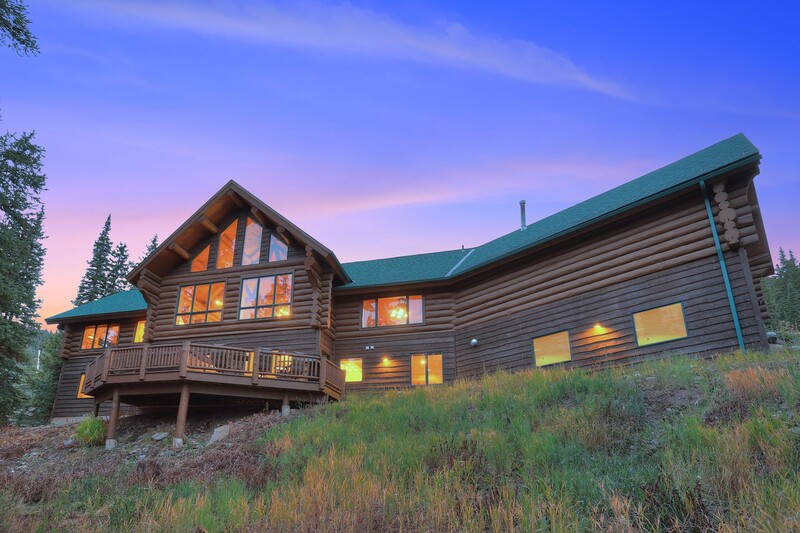 Arrived on 2018-12-17 | Lori H.
This wonderful mountain home was a perfect setting for our large family for a birthday celebration! 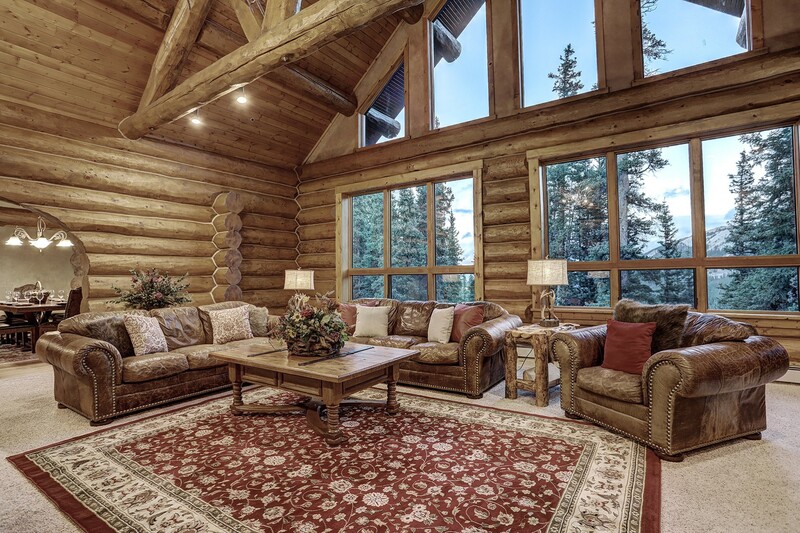 The amenities and tasteful decor of this spacious mountain home allowed for our diverse crowd of 13 plenty of room and options for rest and relaxation! 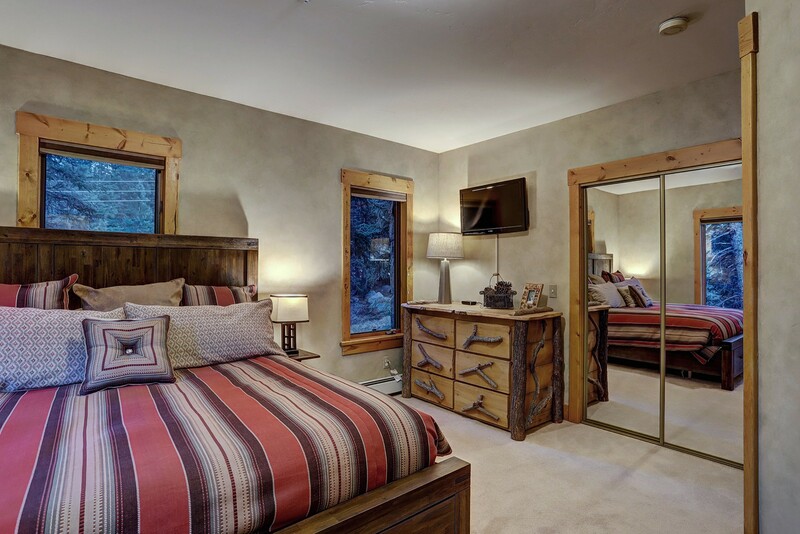 We would highly recommend this for large groups looking for a beautiful home for rental in Breckenridge! Gorgeous home away from home! Arrived on 2018-08-04 | Tracy C.
Gorgeous home! 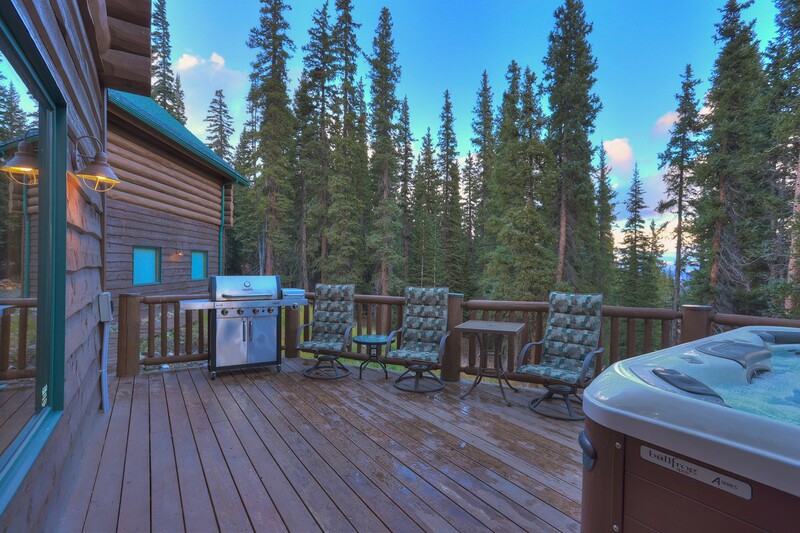 Sit on the back deck and enjoy the view and the hot tub! Everything was clean and well maintained. Decor was beautifully done and the atmosphere was so peaceful. Everything you could possibly need was provided. We prepared several meals in the kitchen and also drove 10 minutes into town to nearby restaurants. 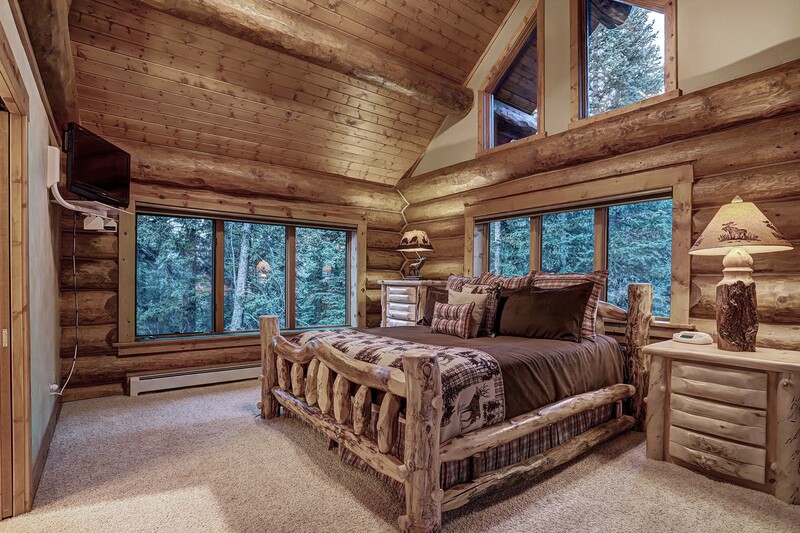 I highly recommend Pine Forest Lodge if you are in the Breckenridge area. This was a beautiful home and accommodated our family of 14 very nicely. Arrived on 2018-07-11 | Becky H.
We loved our experience. We loved the large kitchen, great room, and the wonderful movie theater. It was just a short 12 minute drive to the cabin. We would definitely stay again. 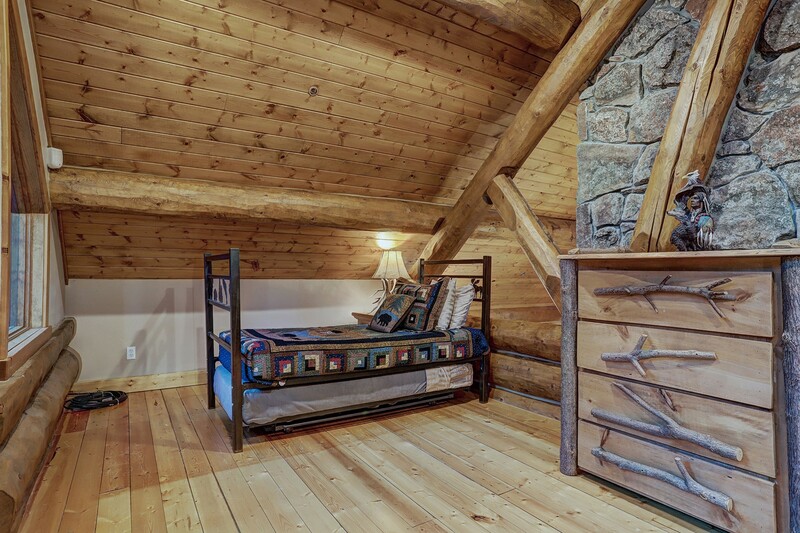 Arrived on 2018-07-07 | Todd W.
WHEN I BOOKED THIS PROPERTY FOR A SUMMER ESCAPE FROM THE HEAT, I WASN'T SURE WHAT TO EXPECT. I HAVE BEEN TRAVELING TO SUMMIT COUNTY FOR GETAWAYS FOR OVER 30YRS AND HAVE HAD VARIOUS EXPERIENCES WITH ACCOMMODATIONS, TO SAY THE LEAST. IT SEEMS THE ONLY THING CONSISTENT IS THE BEAUTY AND WEATHER OF SUMMIT COUNTY. THIS IS THE ONLY TIME THAT I HAVE FELT COMPELLED TO WRITE A REVIEW AND SHARE MY EXPERIENCE WITH OTHERS.<br> ONE OF OUR FAVORITE ACTIVITIES IN OUR SUMMER TRIPS TO THIS PARADISE IS RIDING OUR OFF-ROAD VEHICLES ON THE COUNTLESS MILES OF TRAILS IN THE AREA. IN THE PAST, WE HAVE ALWAYS HAD ISSUES WITH PARKING DUE TO CITY REGULATIONS AND RESTRICTIONS PLACED ON US BY THE PROPERTY OWNERS THEMSELVES. THRILLED TO REPORT THAT IT WASN'T AN ISSUE AT ALL BECAUSE OF THE EXTENSIVE PARKING ON THIS PROPERTY COUPLED WITH THE FACT THAT THE LOCATION IS OUTSIDE OF CITY LIMITS.<br>WE NORMALLY ENJOY STAYING INSIDE CITY LIMITS FOR THE CONVENIENCES, BUT REGRET IT WHEN WE GET THERE BECAUSE OF THE REGULATIONS AND EXTRA FEES DUE TO "OFF-SITE" PARKING. 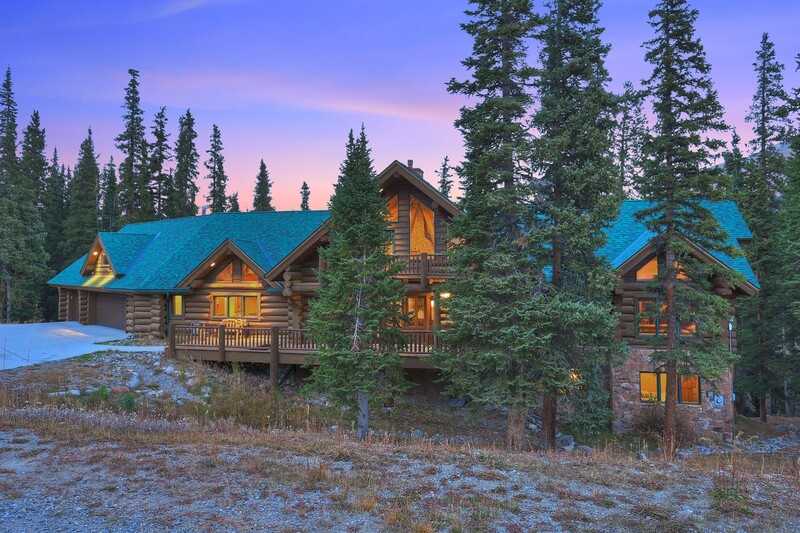 THIS MAGNIFICENT HOME WAS LOCATED APPROXIMATELY 10-12MINS OUTSIDE CITY LIMITS OF BRECKINRIDGE, COLORADO. THIS BREATHTAKING MOUNTAIN TOWN HAS JUST ABOUT ANYTHING YOU COULD WANT OR NEED FROM MANY WORLD CLASS DINING OPTIONS TO SHOPS, SERVICES, AND ENTERTAINMENT.<br>I WAS PLEASANTLY SURPRISED AT HOW MY FAMILY AND FRIENDS RESPONDED TO NOT STAYING INSIDE THE CITY LIMITS. 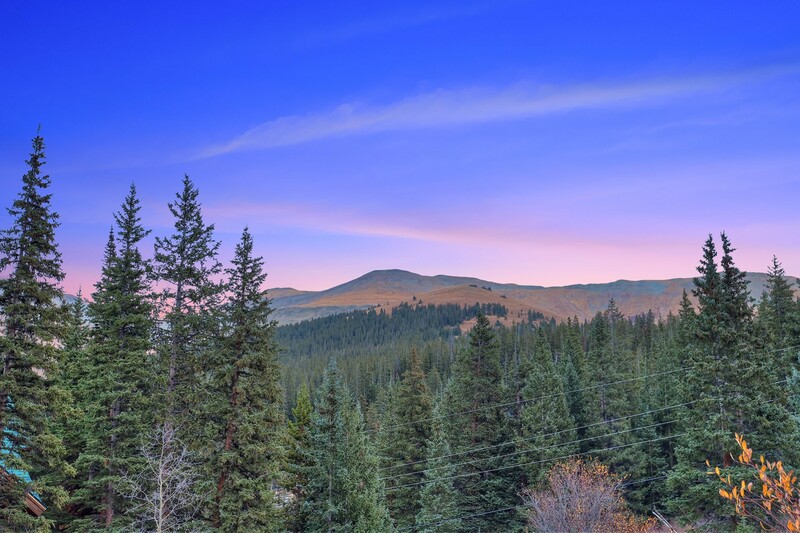 WE LOVED THE SHORT DRIVE TO AND FROM TOWN AS WE LEFT THE CROWDED STREETS FROM SHOPPING AND ESCAPED TO OUR BACK DECK, GRILL, AND HOT TUB OVERLOOKING VIEWS OF BLUE RIVER, QUANDARY PEAK, AND BRECKINRIDGE. SEVERAL TIMES WE SAW SEVERAL MOOSE AND OTHER WILDLIFE CROSSING THE ROAD AND BESIDE THE ROAD AROUND THE RIVER AND PONDS ALONG THE WAY. WE ALSO HAD MULE DEER IN THE YARD EVERYDAY AND OFTEN MOOSE HAVE BEEN SEEN WITHIN SEVERAL YARDS OF THE BACK DECK. 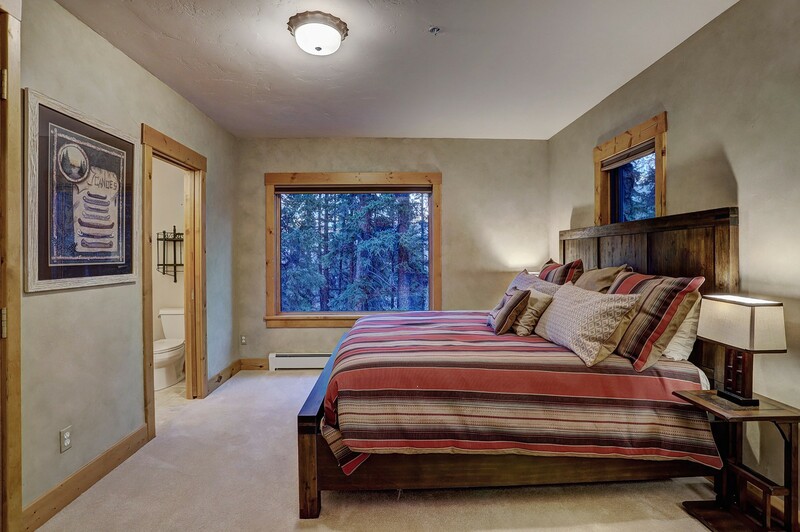 IT SEEMS AS IF YOU COULD LITERALLY FEEL YOUR SOUL CALM AND PEACE WOULD TAKE OVER AS YOU MADE YOUR WAY UP THE DRIVE TO UNWIND AFTER A DAY FILLED WITH ADRENALINE ON JEEP TRAILS OR WADING STREAMS FLYFISHING.<br>THIS HOME SEEMS TO HAVE MORE ROOM THAN ADVERTISED AND WE NEVER FELT CROWDED. 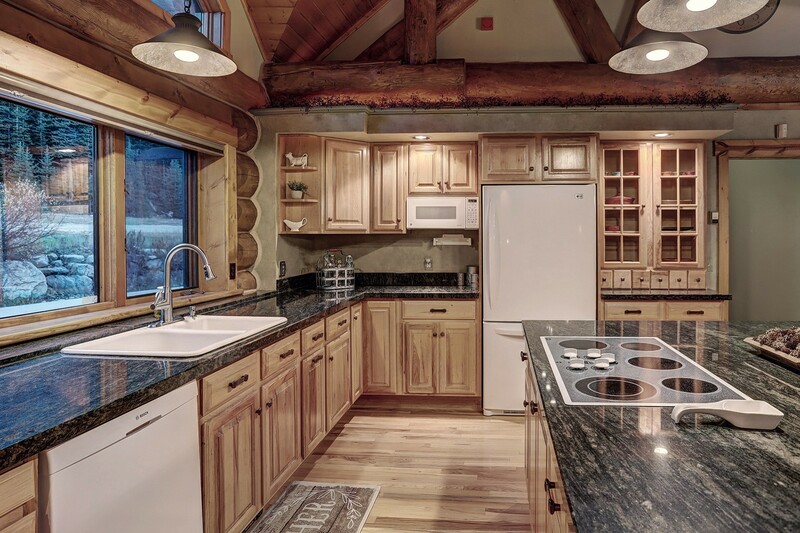 FURNITURE AND AMENITIES WERE VERY NICE AND KITCHEN WAS VERY WELL SUPPLIED FOR ENTERTAINING GUESTS. 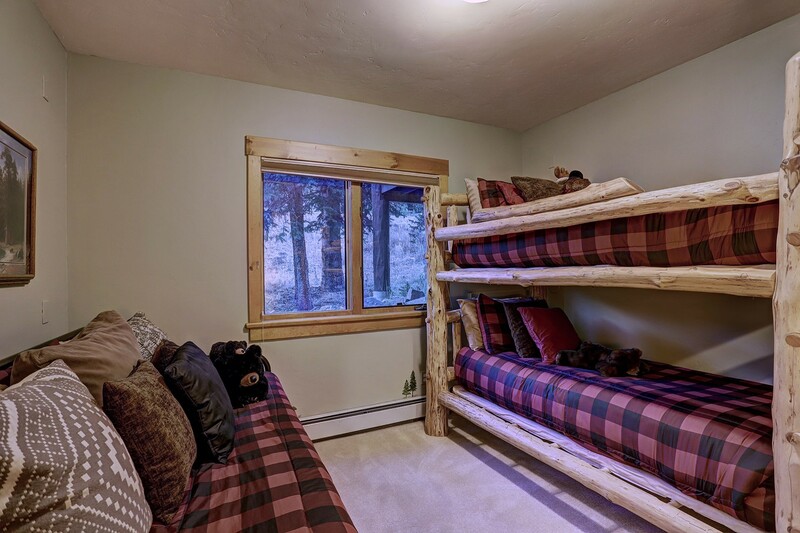 BEDS WERE VERY COMFORTABLE AND WE FOUND THE OWNERS WERE VERY HELPFUL AND RESPONDED IN A TIMELY MANNER WHEN WE HAD SIMPLE QUESTIONS ABOUT SHIPPING/DELIVERY OPTIONS, ETC. OUR FAMILY/FRIENDS WILL BE STAYING HERE IN THE FUTURE EVERY CHANCE WE GET! Arrived on 2018-04-01 | Kim H.
We were looking for a place to spend spring break with our family and this cabin was perfect! 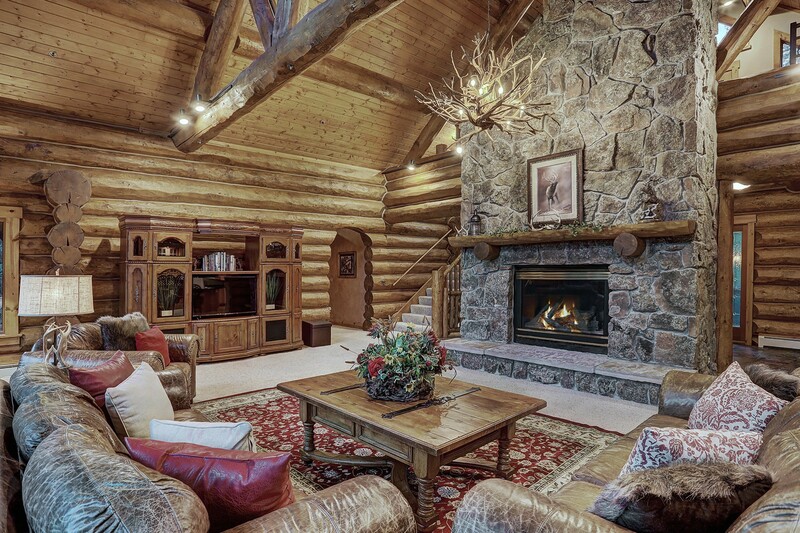 With views of the snow covered trees and mountains, spacious home with a cozy fireplace fit our family of 10! 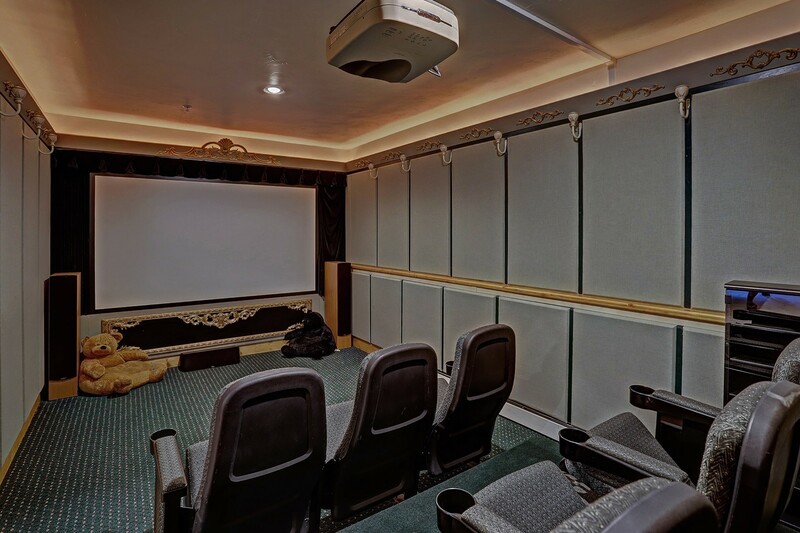 We enjoyed our days in Breckenridge only a short drive into town and our evenings in the hot tub and watching movies in that theatre room! We would definitely come back! My family and my sister's family just had a fabulous vacation in this house. Between our two families, and our kids college age friends, we had people in and out with an average of about 11 to 15 people per night. The house accommodated this crowd very well. The drive to Breckenridge is reasonable, about 10 minutes. We enjoyed the big open space on the first floor including the kitchen and living room. We loved the very large hot tub. This is a great house for a large group. Arrived on 2018-02-16 | Sarah L.
The house is beautiful! It is clean and very spacious. Our group of friends had a wonderful time! It was perfect for our ski trip. Everyone enjoyed the hot tub. The kids really enjoyed the movie theater. The owners were helpful to answer any questions we had. They also provided restaurant options and information on local attractions. I give it 5 stars and hope to be able to return. Amazing place with Breathtaking views! Arrived on 2018-02-15 | Randy L.
This house is amazing with lots of room! Its close to many ski resorts. Our kids enjoyed the movie room and the hot tub on the back deck. Plenty of room in the kitchen to prepare meals. 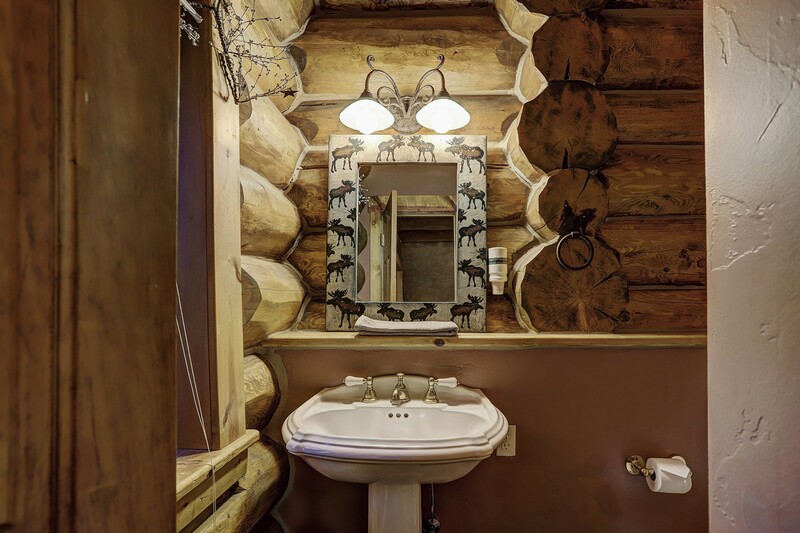 Its completely stocked with all the amenities of home. The large windows on the rear of house will blow your mind with postcard worthy views. I highly recommend the Pine Forest Lodge! Arrived on 2018-02-14 | Allison H.
This place is very spacious! Decorated beautifully, & very clean! I would recommend this place to anyone! Also, owners are very easy to work with and very accommodating. Breckenridge is a beautiful little town, lots to see and do there! We had a great time and will definitely be back!